After the success of the 1st show, LA’s FAMOUS UNDERGROUND ART SHOW has made a home in CHICAGO!!! -OVER 75 EMERGING ARTISTS EXHIBITING!!! -LIVE AUDIO & VISUAL PERFORMANCES: Coming All the way from SAN FRANCISCO!!! Xpander Xperience!! 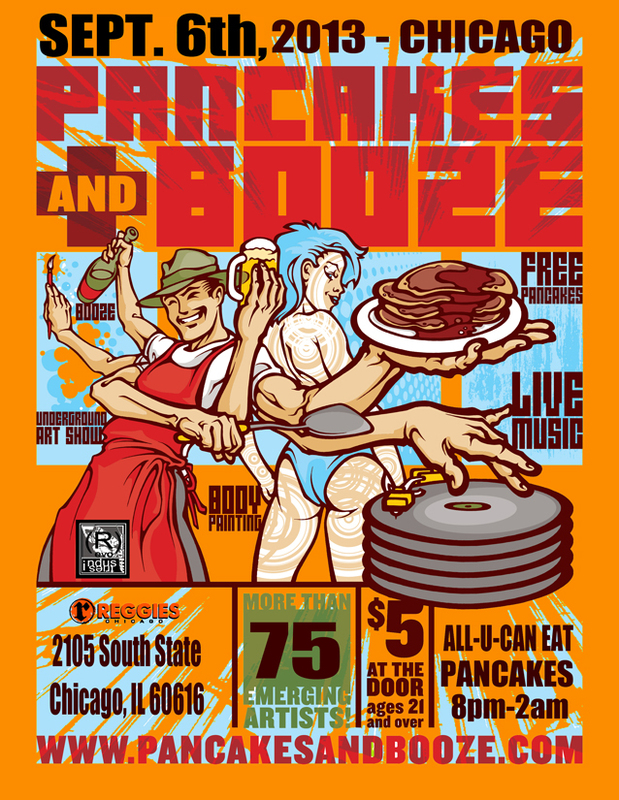 This entry was posted in Openings and Events and tagged art, Chicago, Pancakes & Booze. Bookmark the permalink.